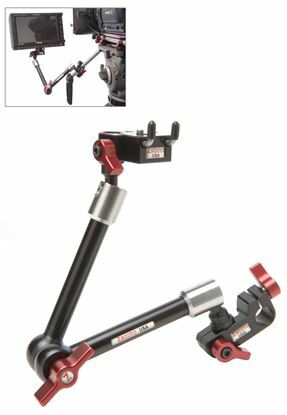 The Zound 3/8 is a quick release Zacuto mount used to mount any device with a ¼ 20” (or 3/8 16”with ¼ 20” to 3/8 16” adapter) screw hole to a 3/8 16” screw hole such as a cheese plate or the Zacuto MiniMounts or DoubleMount using a Zamerican arm. The Zound 3/8 is an excellent choice if you already own a DSLR gunstock shooter. This kit is particularly designed to mount a sound device but can also be used to mounts lights. 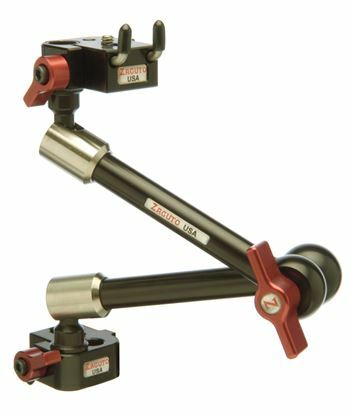 For on-board monitors, we would recommend Zacuto’s Zonitor kits. 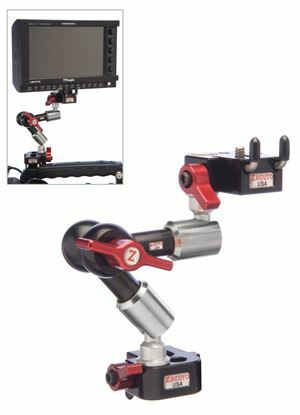 Zonitor Handheld Kit is used to mount any device with a ¼ 20” screw hole, such as external monitors, lights, and/or hard drives, using a Zamerican Arm off of one lightweight rod. 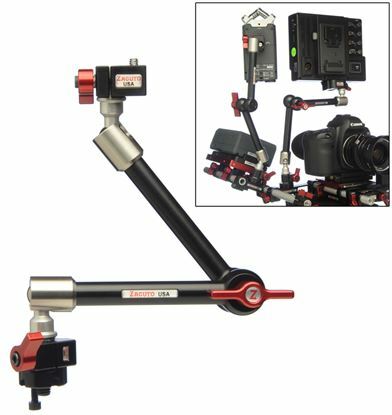 The Zonitor ENG Small Kit is used to mount any device with a ¼ 20” screw hole onto another device with a ¼ 20” screw hole using a Zamerican Arm, usually ENG camera handles. The Zonitor ENG Large Kit is used to mount any device with a ¼ 20” screw hole onto another device with a ¼ 20” screw hole using a Zamerican Arm, usually ENG camera handles.